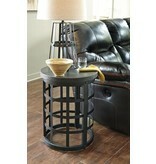 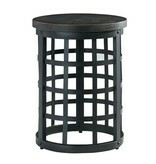 Item Description: Weave quite the conversation piece into your space with the Marimon round end table. 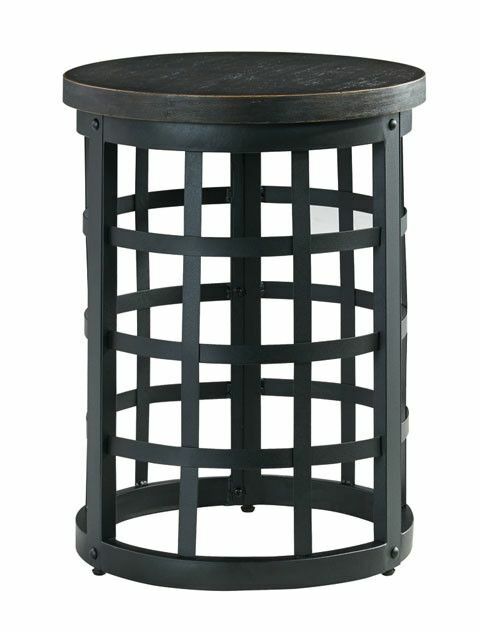 A woven industrial basket crafted of metal is topped with distressed wood for a unique mixed media design. 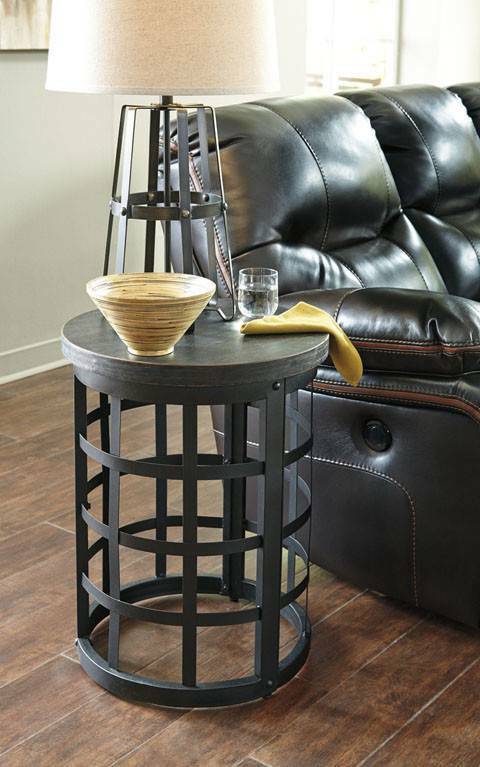 Rivet accents incorporate an industrial heritage element.